Toradora! manga volume 8 features story by Yuyuko Takemiya and art by Zekkyo. School elections are just around the corner! That should mean it’s go time for Kitamura, but for some unknown reason, he’s bleached his hair and is refusing to run for Student Council President. The drama sends Taiga into a flaming rage and it’s not long until she is rampaging into classrooms and getting into fights. 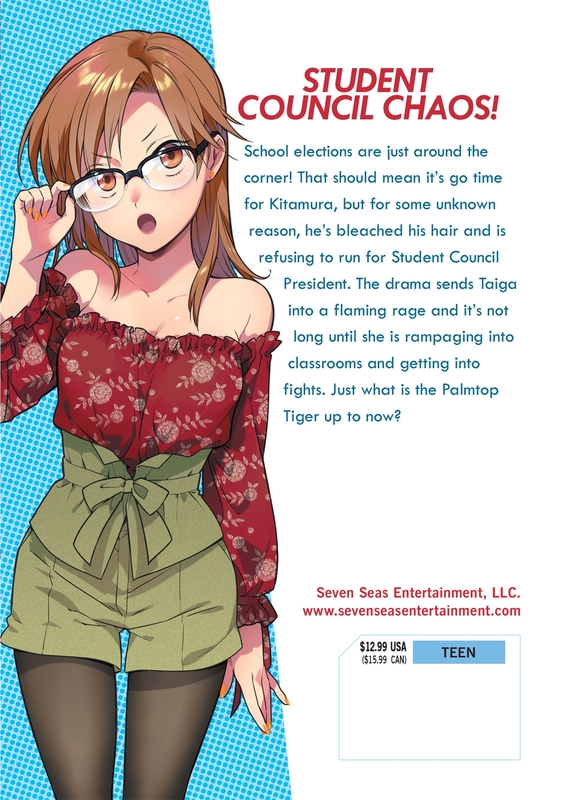 Just what is the Palmtop Tiger up to now? I love this series! My opinion, it's a must have. I don't want to give away any spoilers, but this manga series could be to blame for my manga addiction lol. 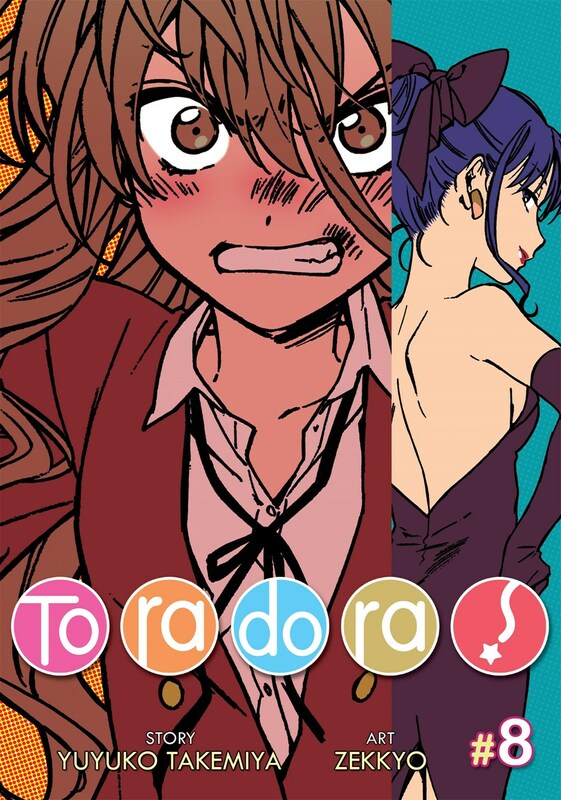 Toradora is a great romantic comedy, with many laughs, suspense, and heartfelt moments. It's got all the best characteristics of cute, goofy, serious, relaxing, romantic, thrilling, and etc all rolled up into a wonderfully written and illustrated manga. I picked one up a while back and was instantly hooked, but I couldn't find #8 anywhere. Either it wasn't available or already sold out. I accidentally found it here and instantly added to cart. It shipped super fast, and I am so glad because I was dying to read it, worried I couldn't find a good quality copy for myself. If you haven't already please consider checking out this series, and if you have red up to 7 you know you gotta read 8.